Thanks to my brush calligraphy inspiration, Sharisse of piecescalligraphy, for teaching me to love my own handwriting and be confident with my own strokes. I used to get frustrated when I can't deviate from my own handwriting style. Why do I always end up with my traditional, Tita Fe style of handwriting? ** Tita Fe taught me how to write legibly. When I saw Sharisse's Instagram posts, I knew I have finally found my classic yet modern, simple yet creative brush calligraphy inspiration. I can see my high school handwriting in her strokes. I realized that you can gain confidence in doing calligraphy by being spontaneous, natural and believing in your own handwriting strokes and style. I was happy to know that my friend recognized my handwriting printed on the canvas pencil case I gave her last Christmas. I hope to launch more calligraphy works and print them on our line of personalized canvas bags, pouches pencil cases and purses. For my first project this 2016, I joined the #handletteredABCs daily posts of the growing calligraphy community in Instagram. I have posted my first entry ( letter A and posted it late, as usual!) and I'm glad to be part of the thousands of calligraphers worldwide who are diligently working on this daily project. May this daily writing exercise give me the confidence and discipline I need to pursue my future calligraphy projects. I have also decided to tag #MaestroRio in this endeavor. 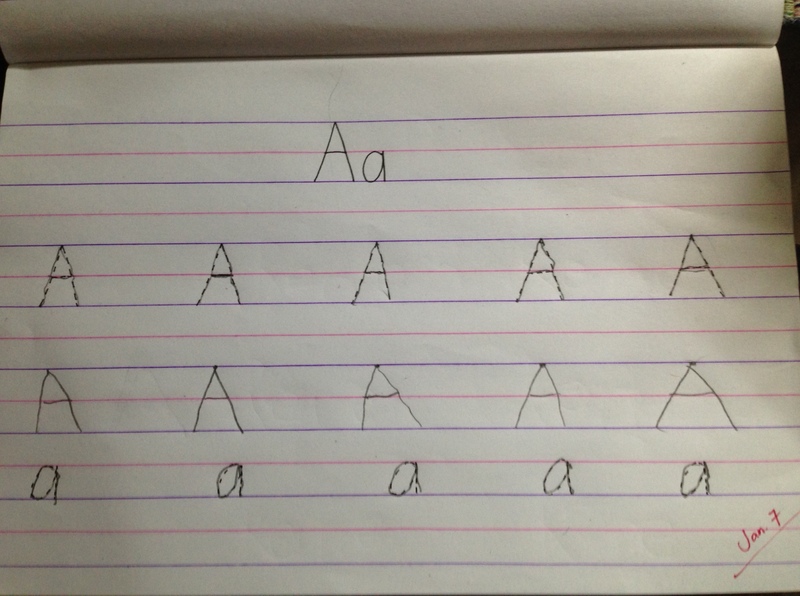 Nanay will learn calligraphy while teaching little Rio how to write the letters of the alphabet! Look at Rio's letter A masterpiece! Nanays, if you want to learn calligraphy, follow @piecescalligraphy in IG and watch her basic strokes videos in her blog. I'll be happy to join you in pursuing your calligraphy/lettering goals this year. I love the letterings you did on the pencil cases, Nadia! Super salamat naman, Lally! I'm glad you liked the personalized pouch. Kitakits soon. Chika uli! 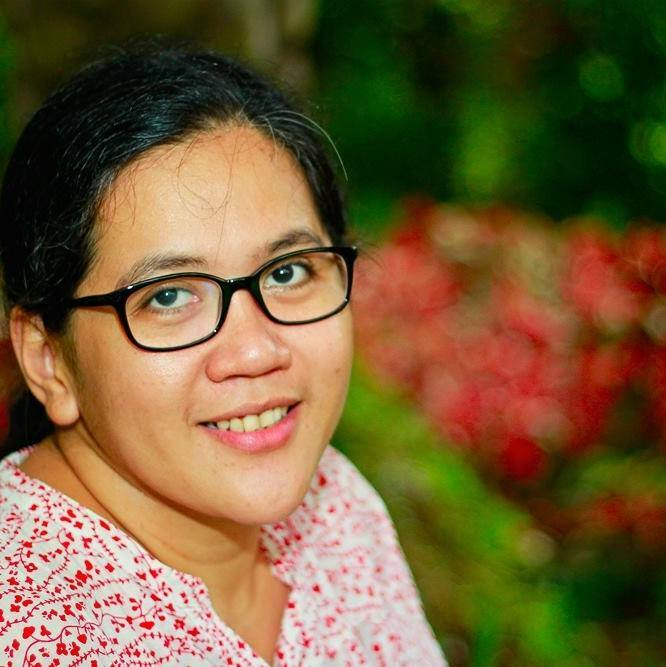 Thanks, Cym! Sana magtuluy-tuloy na ang mga projects na ito. Long time no see. Happy new year to you and your family! WOW!!!!!!!! 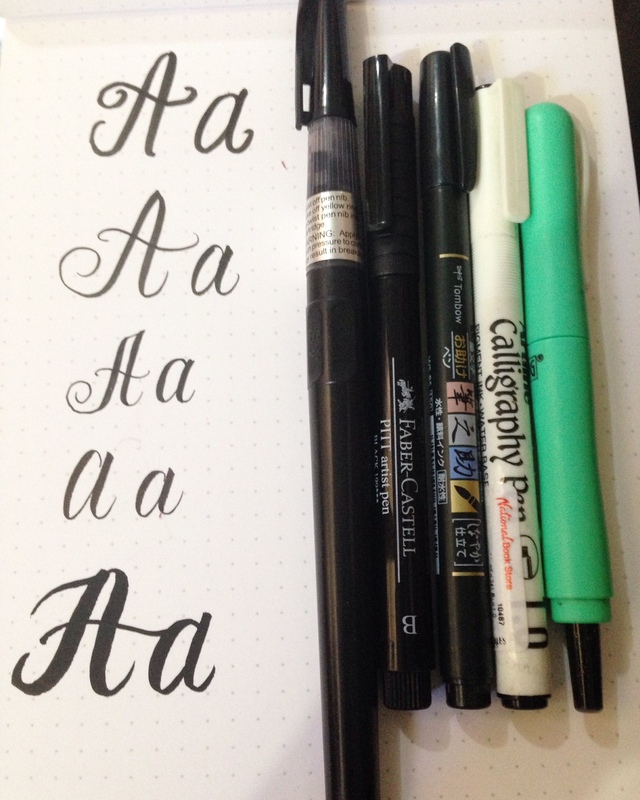 gusto ko din kumarir sa calligraphy... ang saya nyan! Thanks, Toni! Cheers to more calligraphy projects this year. Happy new year! Hello Bave! Taralets, karirin na natin ito! Salamat sa pagbisita! Great stuff! I have always been told I have good handwriting. Maybe I should try this out too ano? This is one of our elective subjects way back in high school but I need to relearn this skill again. My son is into calligraphy. Been thinking to join him but I would rather read books. 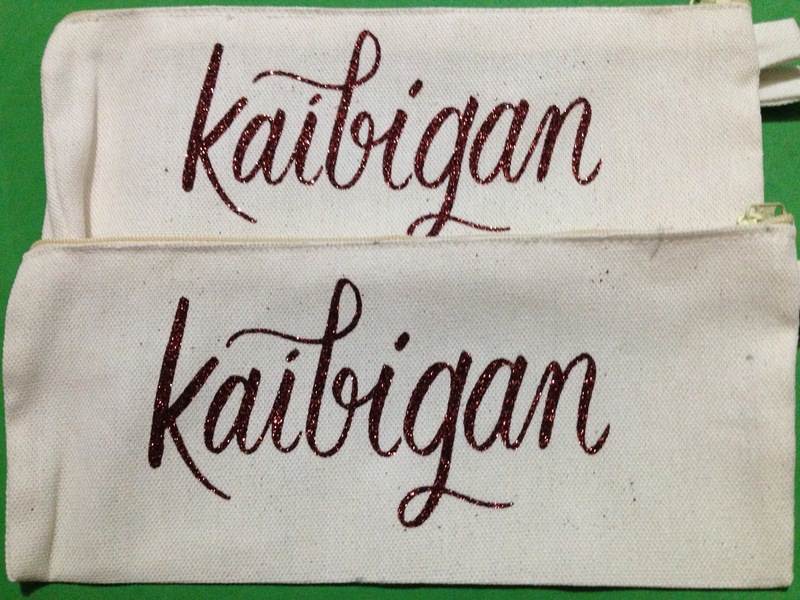 But seeing that you could even do some calligraphy sa pencil case gives me the push to try it na talaga. Thanks for this, and by the way, I've been following your blog since last year. Got interested on your first calligraphy post. Love your work! Lally's pouch looks so nice! Yey, thanks for sharing the link. I want to learn hand lettering too. 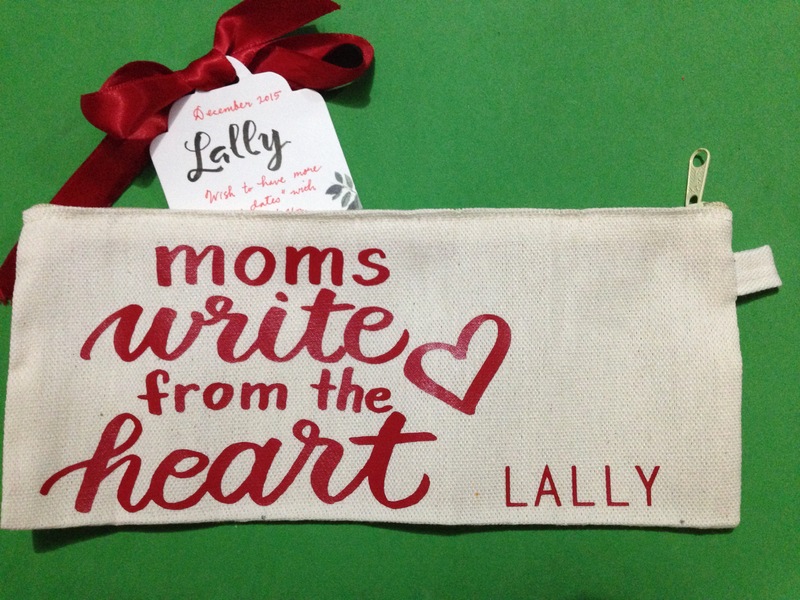 Calligraphy takes a lot of patience they say to get the strokes that you want.I'm also interested in calligraphy but I use Pinterest.Thank you mommy for the info about @piecescalligraphy.Your handlettered pouch looks great! I stalk Sharisse on IG and YouTube too! :) Was actually really happy when she followed me back. Been wanting to take some brush calligraphy classes. I thought I could do it on my own by just watching videos so I bought a couple of brush pens to practice with. But I think I really need a workshop. Nakakainggit yung mga nagsasubmit sa Handlettered ABCs. Ang gagaling ninyo! Ganda ng pouch! I'm into brush lettering and calligraphy narin ngayon (ang sayaaa) but I'm more comfortable doing calligraphy! I've wanted to learn calligraphy also after seeing so many of it around lately. I've gotten as far as buying a few pens and taking it out for some practice. I'll be sure to follow your recommendation on the Instagram follow. :) Thanks for sharing! I'm following her on Instagram. Amazing :) I wanted to do calligraphy ever since but never got a chance to work on it until now.